Edited by Shmuel Glick, Evelyn M. Cohen, Angelo M. Piattelli with Michael Reuveni, Emile Schrijver, Sinai (Tamas) Turan. It is with great pleasure that the editors and authors present this jubilee volume to Menahem Schmelzer, our cherished colleague and friend, on the occasion of his eighty-fifth birthday. We believe that this work indicates the esteem we all have for the learned and generous scholar who has touched our personal and professional lives in many ways. Our compendium of essays is the second one created to honor Menahem Schmelzer. 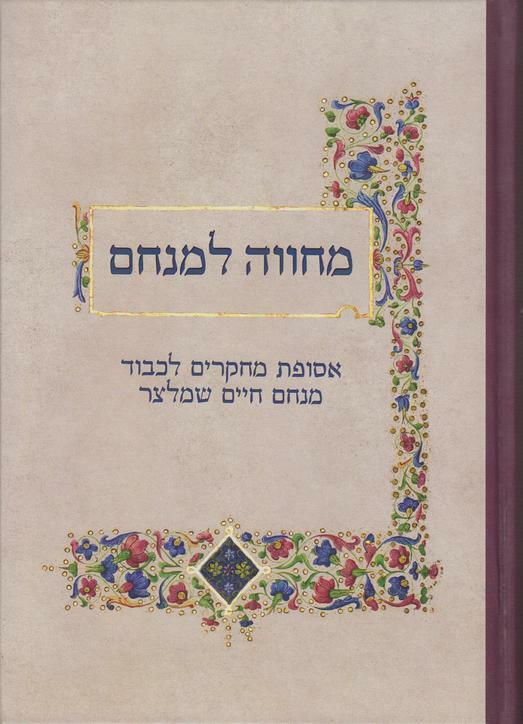 The present bilingual volume is organized with Menahem's wide range of interests in mind: liturgy, Hebrew poetry and literature, booklore, Talmud, rabbinics, and Jewish history. The scholars, who contributed to this volume are: Mayer Rabinowitz, Hermann (Imre) Schmelzer, Jozsef Schweitzer z"l, Debra Reed Blank, Ephraim Kanarfogel, David Kraemer, Bernard Septimus, Evelyn M. Cohen, Vera B. Moreen, Claudia J. Nahson, Angelo M. Piattelli, Benjamin Richler, David Sclar, David Stern, Louis H. Feldman z"l, Talya Fishman, David Weis Halivni, Jay Rovner, Ivan Sanders, Shmuel Glick, Shulamit Elizur, Tova Beeri, Moshe Bar-Asher, Benjamin Bar-Tikva, Avraham Grossman, Avraham Holtz, Ephraim Hazan, Iris Yael Blum-Cahana, Joseph Yahalom, Michael Reuveni, Malachi Beit-Arie, Joseph R. Hacker, Shimon Iakerson, Sinai (Tamas) Turan, Menachem Katz, Avraham David, Dov Zlotnick z"l, Shamma Friedman, Israel Francus. Most of the articles written for this volume were submitted around ten years ago. As a consequence the articles do not always reflect the most recent research in their fields.